Drizzled in a colorful curry-infused oil and then roasted to bring out their flavor, the vegetables in this quick side dish are anything but boring. It’s a great way to make something with a distinctive flavor but with essentially the same amount of work as any other roasted vegetable recipe (read: almost none). The maple syrup gives it a touch of extra sweetness if you like that, or leave it out to draw out the savory spices more. If you’re not a fan of eggplant, if would also be easy to adapt this recipe to any other vegetables you do like – just adjust the cooking time accordingly if you’re using something hardier like winter squash. 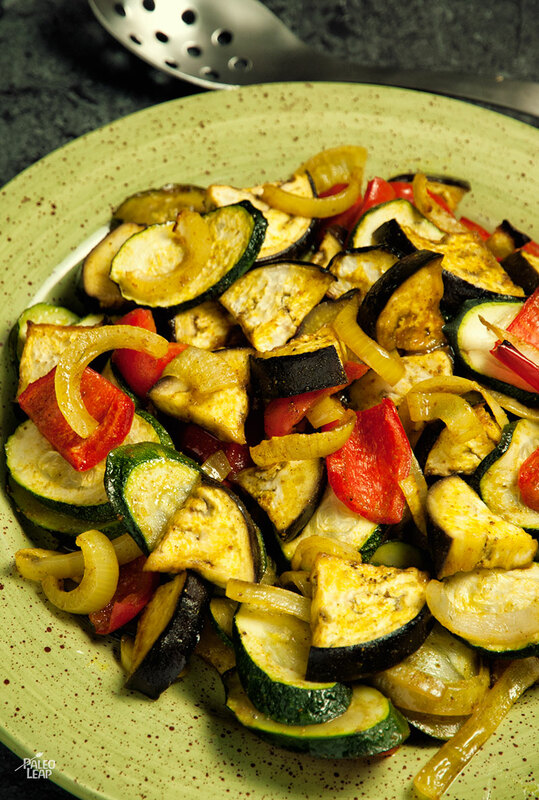 This is a delicious side to go with grilled chicken or fish, if you want vegetables with a little more flavor. Curry powder also goes surprisingly well with eggs – try this recipe alongside an omelet to get a few more vegetables into your breakfast. If you put the vegetables in, clean up, and then make your eggs, everything should be done at around the same time, and half your cleanup will even be done in advance: how’s that for convenience? In a bowl, whisk together the olive oil, maple syrup (if using), and the curry powder. 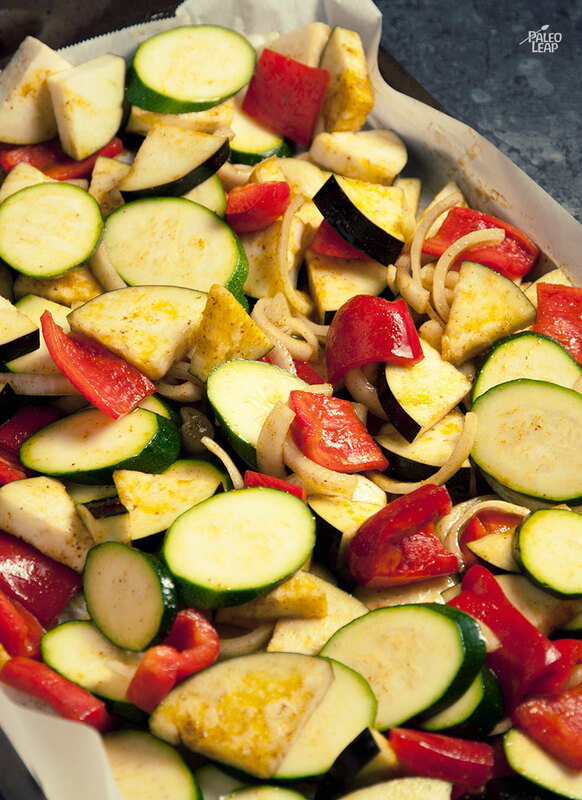 Spread all the vegetables on a baking sheet. Drizzle the curry oil over the vegetables, season to taste, and toss until everything is well coated.